Goodreads: Robotics engineer Johnathan Michaels is in love with his business partner, Alexis Rodriguez. After three years of missed opportunity, the two are finally making a life together when a previous one-night stand from Johnathan's past reappears. Pregnant. With his child. Can Johnathan juggle a fiancee, impending fatherhood, and save the biggest contract his company has ever seen? Kritters Thoughts: Almost a novelette, this little book packs quite a punch in less than 150 pages. With a rough start and a stellar ending, I loved reading a book with both males and a female as the central characters. It was also interesting to read a book with three characters that weren't exactly the typical love triangle. And although this book may not have all the pages that most books may have, the reader is still able to find a deep and twisting story. I said that it was a rough start because I felt as though from the beginning you were assaulted with all the characters and you were given little time to get to know them each in their own rights. I reread the first few pages twice to make sure that I had each character straight, but once I knew who we were talking about - I was ready to read on. The twists and turns were fun to take with the characters. Although the three main characters work together, it was nice to see them both on the job and after hours. I felt that they were each complete because the reader saw them through both their work lives and their personal lives. 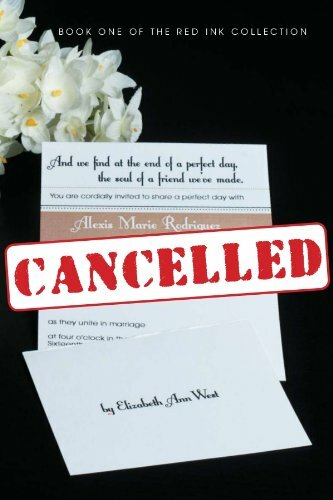 A little soap opera drama mixed with a great chick lit story made for a perfect novelette for a weekend read. If you like a little drama and some twists and turns, I would advise picking this one up. Thank you, thank you for the glowing review!!! :) I'm working very diligently on my second book (although not a sequel, I think fans of CANCELLED will still love it). I do have an outline for a sequel to CANCELLED that takes place 2 years later... and it will be my third book.